"Very nice samples! I wish you lots of succe$$ :)"
"Wonderful outcome on your voice." 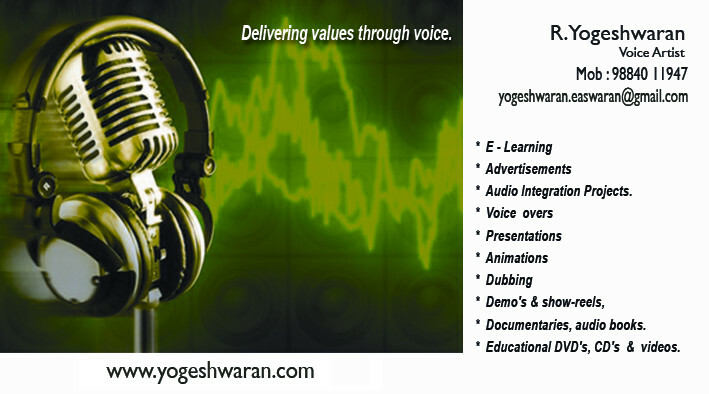 " You have the Best Voice "
" hi Yogeshwaran, you have a lovely voice. "